Nestled snugly in the borough of Camden between the upscale Primrose Hill and the more alternative Camden Town, you can enjoy the best of both worlds in Belsize Park. The Belsize Park rentals market gives you this while also getting you a great value for your money. Being just 3.4 miles away from Central London, this area is a haven for professional couples, young families, and celebrities alike. Boasting both the views of Primrose Hill’s London city skyline, and Camden’s eccentric nightlife nearby, and Belsize Park in a league of its own. 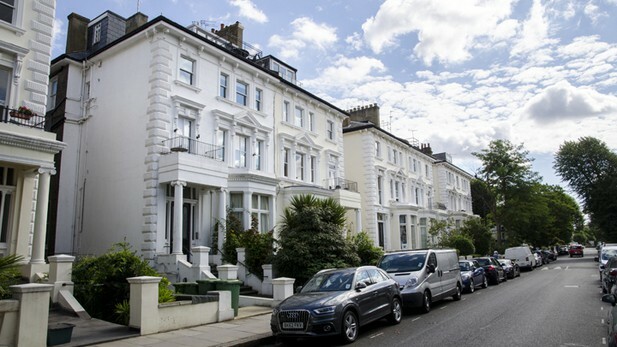 Belsize Park rentals come with their own local amenities, and there’s never a shortage of things to do and places to see. Many of the Belsize Park rentals buildings have one of three types of styles. Whether Victorian, Queen Anne or Art Deco, many are acknowledged as the most prestigious architectural models of their kind. The tree-lined streets and wide pavements make walking around this area a true pleasure. Belsize Park rentals also have Belsize Park Park just minutes from some of London’s most stunning green spaces. The Park offers a welcome escape from the hustle and bustle of the Capital, while still being centrally located. If you’re into celebrity spotting, there are no better places to partake in this than London’s Belsize Park Park. Notable residents include Tim Burton and Helena Bonham Carter and the recently uncoupled Chris Martin and Gwyneth Paltrow. These celebs all chose Belsize Park rentals to call home and frequent the amenities this boisterous suburb has to offer. As you would expect in such an exclusive area, the properties don’t come cheap. The vast majority of available Belsize Park rentals are now flats in converted Victorian and Georgian buildings. While it might be possible to find good value for your money, the Belsize Park rentals market in this area is on the pricier side. A great range of local restaurants and bars means residents can always find plenty of entertainment without having to venture very far from their Belsize Park rentals. Pubs and bistros serving excellent and innovative food, hopping night clubs, and bustling shops are all found in Belsize Park. All centered locally around the high street, you won’t have to go far to find what you’re heart is desires. The head chef at Indian restaurant Hazara on Belsize Park Lane hails from a Michelin-starred restaurant. This culinary gem, which stands heads and shoulders in a league of its own in London’s Indian Restaurant scene, has been around a long time. Many local patrons have described Hazara as London’s finest tributes to real Indian food. Hazara serves up the likes of authentic Indian dishes that are most often not found outside the Indian subcontinent. The O2 Centre, Located on Finchley Road, is home to 14 restaurants and cafes, 12 screen VUE cinema and a pick of the best high street shops. Housing the likes of everything from kitchen appliances to makeup, and children apparel shops you’re destined to find what you’ve been wanting. The O2 Centre is a one stop shop for all your culinary and retail needs. The Washington, a classic old Victorian pub with a contemporary twist; is another local favorite of Belsize Park rentals residents. This is due to the comfortable sofas, vast brew selection, and it’s ever popular weekly Quiz night. Quality pub grub is served with a contemporary edge, combined with a lively atmosphere and a youthful crowd. This quaint bar is a booming local hotspot and a place not to miss. Hampstead Heath, a local green space, is a 790-acre haven for those looking to reconnect with nature in the middle of the city. Enjoy a walk through the park to the renowned Kenwood House which lies adjacent. Or you could join the regulars who, come rain or shine, can be found taking an early morning swim in the Heath’s ponds. Belsize Park rentals residents enjoy taking a break in this peaceful sanctuary to get away from the busy city life, even if just for a moment. On the northern side of Regent’s Park, Primrose Hill Park offers a panoramic view of central London that is truly breathtaking. Along with beautiful views of Belsize Park Park and Hampstead, this park is widely popular amongst the locals and tourists alike. On a sunny day, the residents of the surrounding areas are found flocking to this charming area to get some fresh air and an unparalleled view. Belsize Park Park Tube station is on the Edgware branch of the Northern Line. Located in Zone 2, it takes just 15 minutes to get to central London. Overground train services run from Finchley Road & Frognal, West Hampstead, South Hampstead and West Hampstead Thames link.